#5 - Operation Invasion II - Halo Mill Proving Grounds, UK. 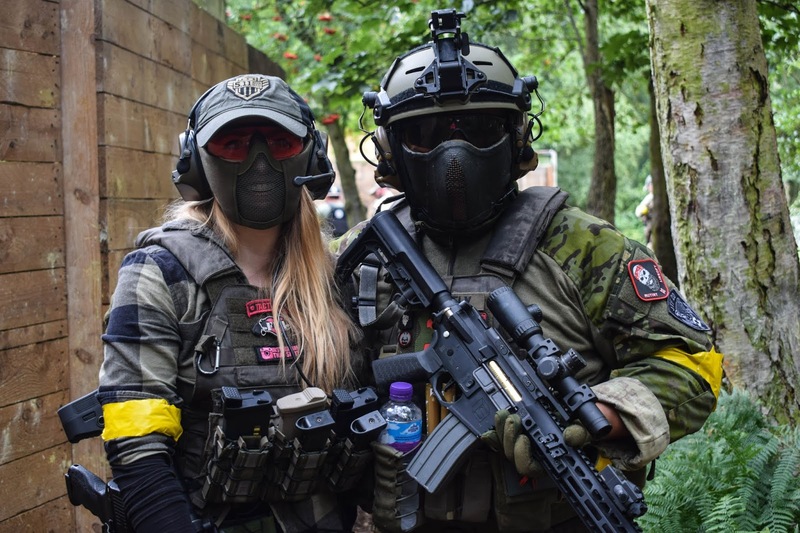 First up is the charity weekender 'Operation Invasion II' held at Halo Mill Proving Grounds in Selby, UK organised by 1 Legion MilSim in aid of The Pilgrim Bandits and 'Veterans for Airsoft'. 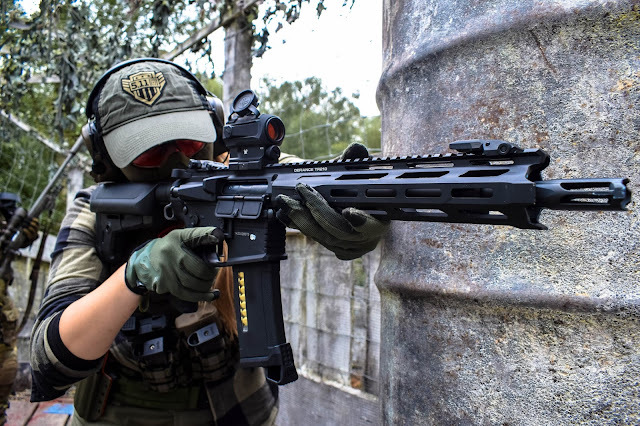 I LOVE playing at Halo Mill Proving Grounds so when this event invitation popped up in my Facebook messages I jumped at the chance, it's a well-known fact that I predominantly play CQB but this is one woodland site that keeps me coming back for more. It has great structures including a huge bridge fort for players to fight over in amongst the dense forest. It was a really enjoyable day full of great gameplay/sportsmanship from players and full of camaraderie. It was wonderful to catch up with friends, put faces to names that I’ve only seen on the internet and of course meet players from across the pond - it really was a pleasure to finally meet 1 Legion Superfly and Sheep. The amount raised by the community was fantastic and just shows how much of a difference we can make when we band together. Warzone 6: The Final Assault was my first time visiting the beautiful island of Crete and playing in Greece. This airsoft game was set in the beautiful hills of Arkadi - the small town home to the famous Arkadi Monastry. I and Bill, my fellow Airsoft Action Contributor played alongside the UN Forces as peacekeepers during this 48 hour game. The terrain and weather were completely different to what we were used to, the action was intense and the cameraderie strong. My trip to Crete was definitely a trip of firsts, from my first time driving in Europe, to the first time riding on the back of a motorbike, trying new foods and even having a go at preparing Shisha, it was only right that I tried an entirely new role during gameplay! As I was the smallest and quickest member of my squad, I was chosen as the Medic. 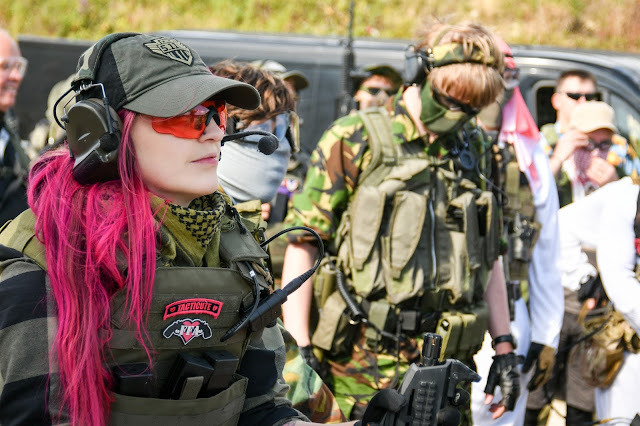 This is a role I’m not used to playing; I prefer to be at the front of the action rather than hanging back, and what I learned from playing this role is: I definitely need to do more cardio and a medic should never be the charger because if you get shot first your squad is pretty f*cked unless there is another medic nearby. It was definitely an interesting learning curve to play this role. All in all, I had an amazing weekend at Warzone 6! Although I’ve been told that this really IS the Final Assault and they have indeed gone out with a bang, I’m hoping that Stelios and the team will run another event in the future so we can go on another Cretan adventure! This definitely won’t be the last time we visit the beautiful island of Crete. The insurgency style games are worlds apart from MSW's other events - insurgency focuses more on the role-playing aspect of the game with players creating businesses, an economy and also an intricate social/political dynamic. 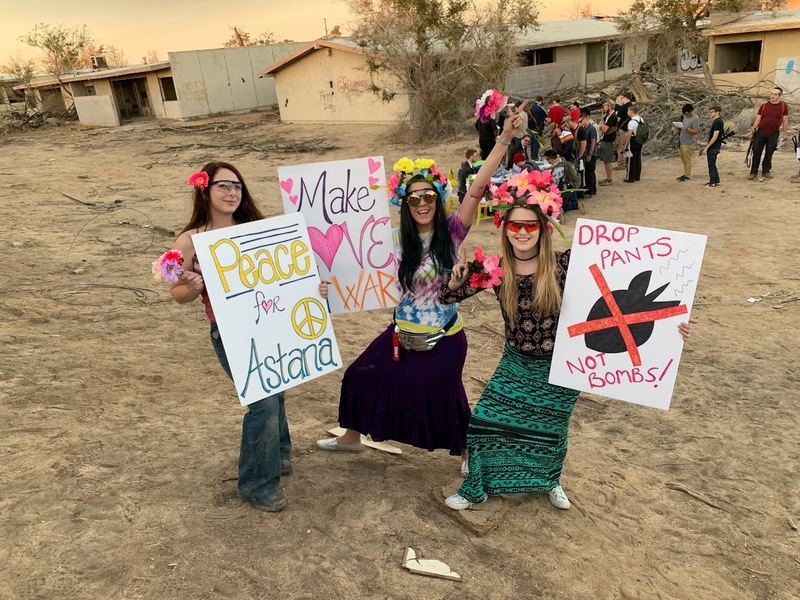 For this game, instead of picking up a weapon, myself, Unicorn Leah and our friend Kat decided to be non-violent anti-war protestors very much reminiscent of the Vietnam war protestors in the hippy era, the 1960s & 1970s. It was great to play a character that is SO different to what I'm used to playing/portraying. I loved the role-playing aspect of the insurgency series from being apart of the in-game civilian world. Keep your eyes peeled for the event review coming soon! Gangsta City: Retribution was held at MOD Swynnerton near Stoke-on-Trent and was pretty much airsoft GTA. We played 'Moonshine Mob' and our mission for the weekend was to make and sell as much 'moonshine' as we could to the other factions. The firefights and car chases were intense and MOD Swynnerton is an awesome urban site. If you get the chance to play a MilSim at this site, I recommend you get to it! DFE: Battle for Lost Angeles was held at George Airforce Base in Victorville, CA - the AO was a really cool location for an airsoft game that offered both close and long range engagements, the game ran well thanks to the admin staff and the players, it was a constant firefight thanks to the app which made it really fun and there were some awesome loadouts amongst the teams. I am really looking forward to the next instalment of Desertfox Events next month!